Exciting Women’s Boxing coming up in Costa Rica! Here’s the video for the official weigh-in! 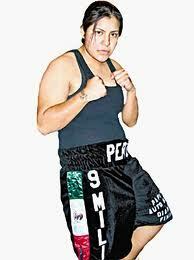 and Mexican fighter Melisenda Pérez (7-4-1, 4-KO). 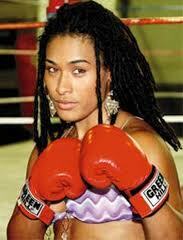 and Ada ‘Ace’ Vélez (18-3-3, 6-KO) hailing from Puerto Rico, via Hollywood, Florida, U.S.A. According to boxing promoter Sampson Boxing, the fights will be held in the Costa Rica National Stadium with a visit promised by Costa Rican President Laura Chinchilla. Pretty cool stuff! >>>For further information, click here. Great job structuring the photos around the event, including the video. In addition, the summary does hel frame a story around the event. I think it would be beneficial to include a copy of the Press Release I generated to fill in some details. Thanks for the comment. I’ve add a link to your piece on BoxialMundial.com for folks who are looking for more information. Feel free to keep the press releases coming for future women’s bouts! I am finding out that information from the promoters and will respond on GB! I really like the fact that you’ve added the Sampson Boxing website link to the Cecilia Comunales event page. If you can, please do the same for future events. Your help is very much appreciated. « 84th Annual Daily News 2011 Golden Gloves Semi-Finals Week Ten Reminder!